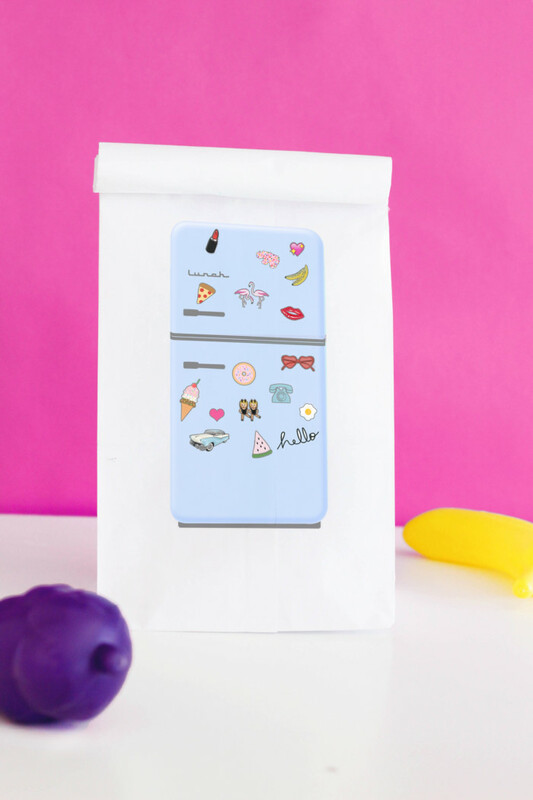 And then, even though I haven’t really jumped on the “flair” bandwagon at all (I own no pins nor patches) I thought about how cute “flair” would look all over these fridges and so I decided to add a bunch! It did turn out cute amiright? I think flair magnets should totally be a thing! I would buy those! Maybe they are? So there you have it! 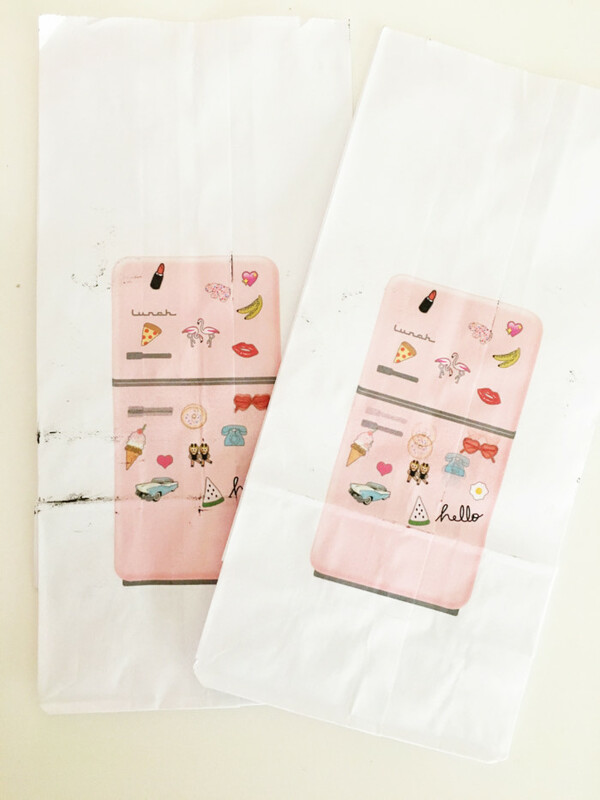 Our first ever school-ish themed post just littered with free prints! 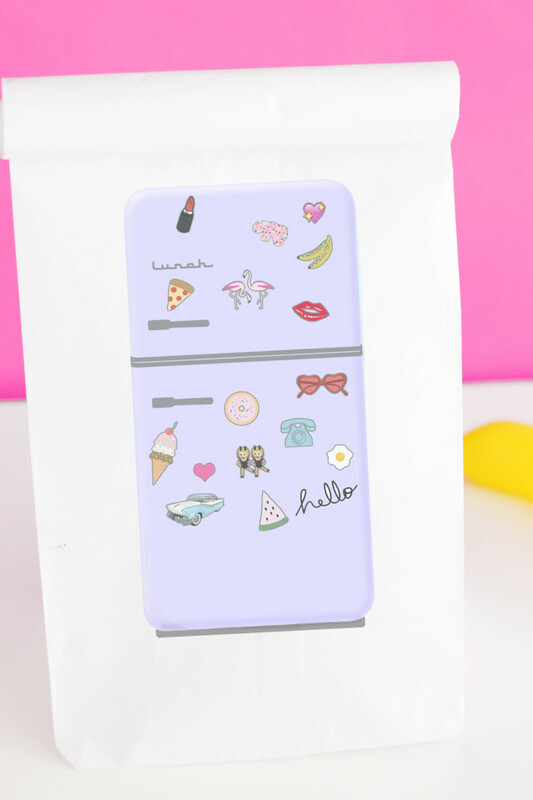 I made the fridge in six different colors and you have the option of with or without flair! 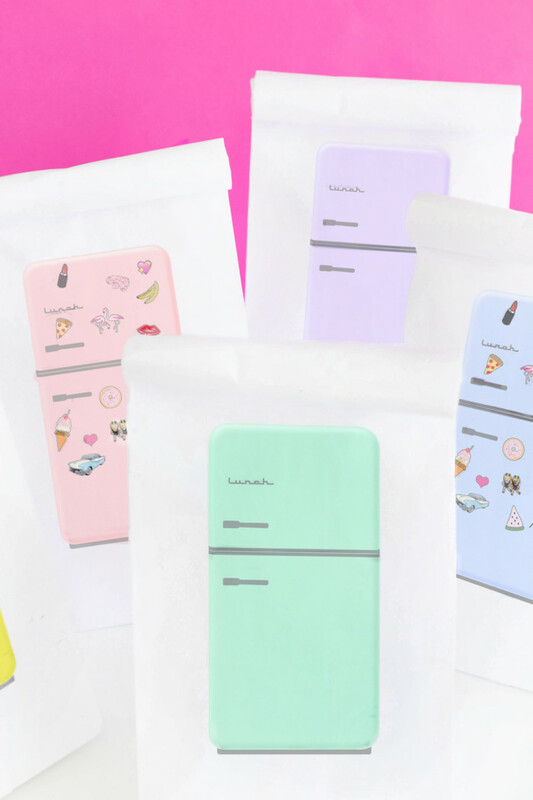 I think these bags are just so perfectly happy. 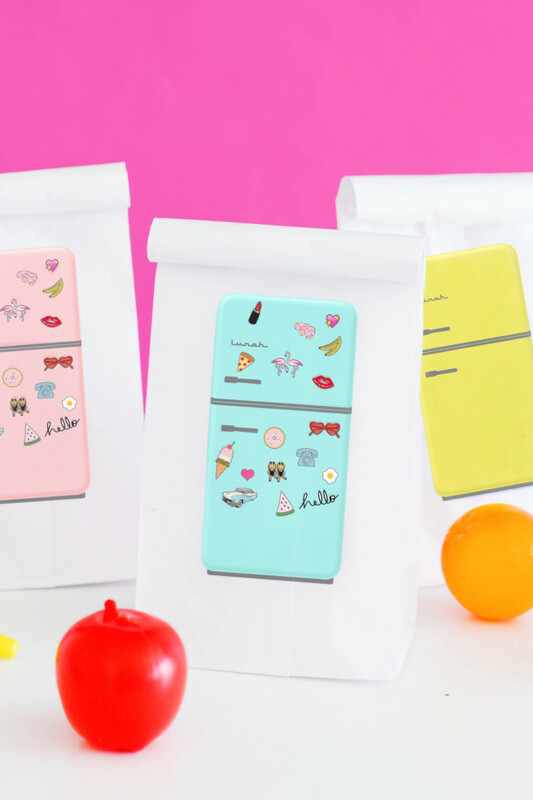 I know I wouldn’t mind a bagged lunch if it came in one of these sweethearts. 1. First grab the printable/s you want below! 2. 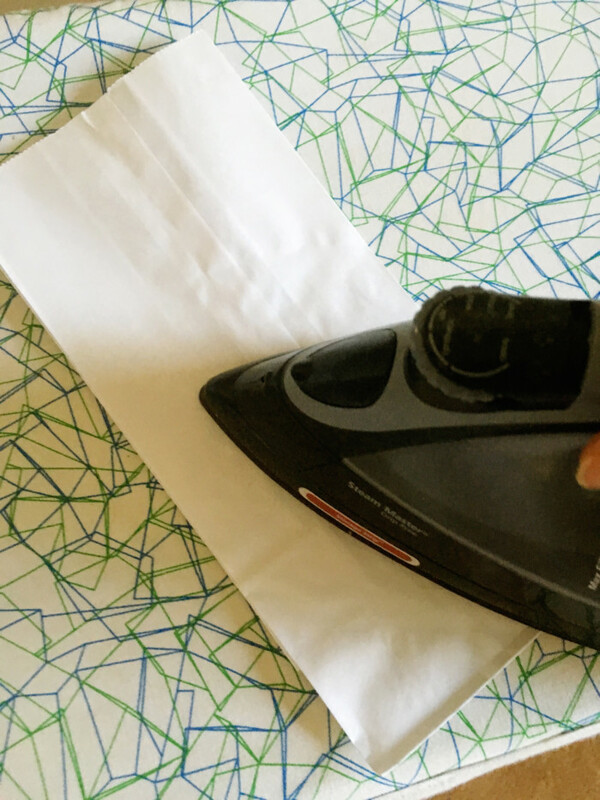 Iron your paper bags. So focus on that larger crease in the bag and try to get that part as flat as possible! 3. 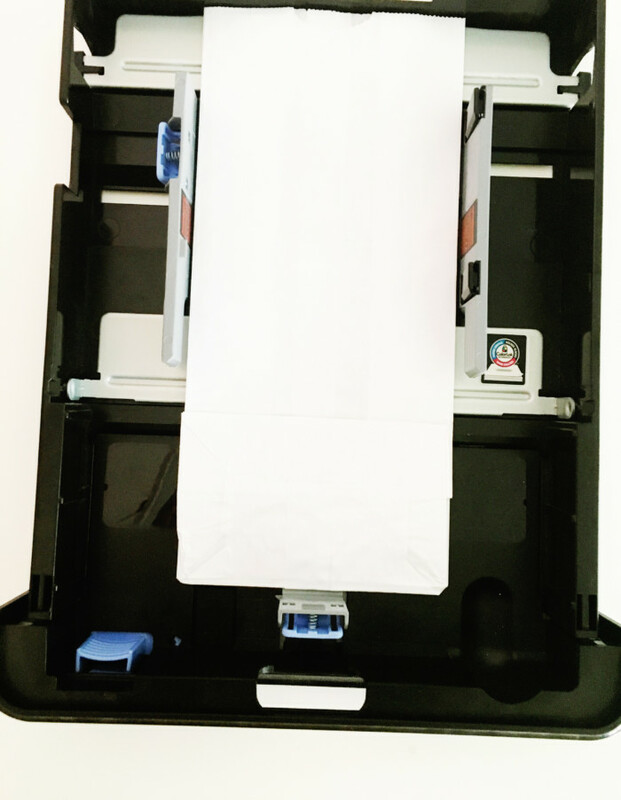 Load your paper bag into your printer tray and adjust the paper holders to fit it. 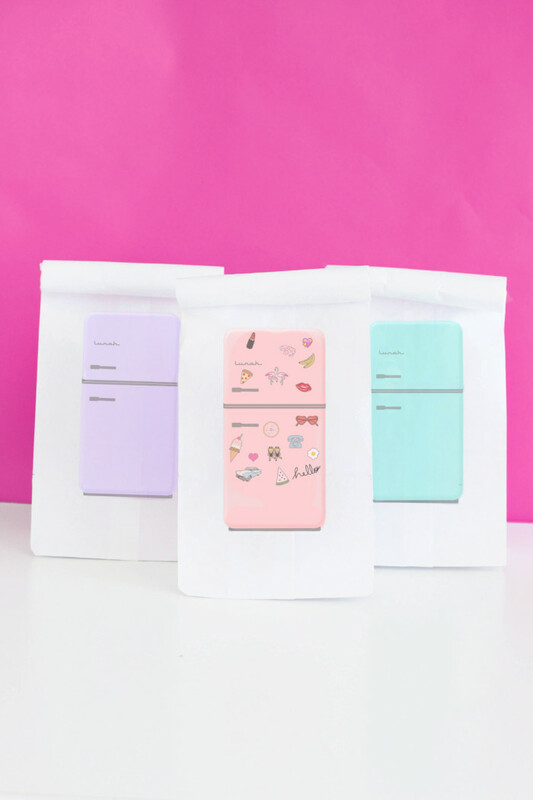 Make sure you know what way your printer prints so your fridges are right side up and on the front of your bags! 4. 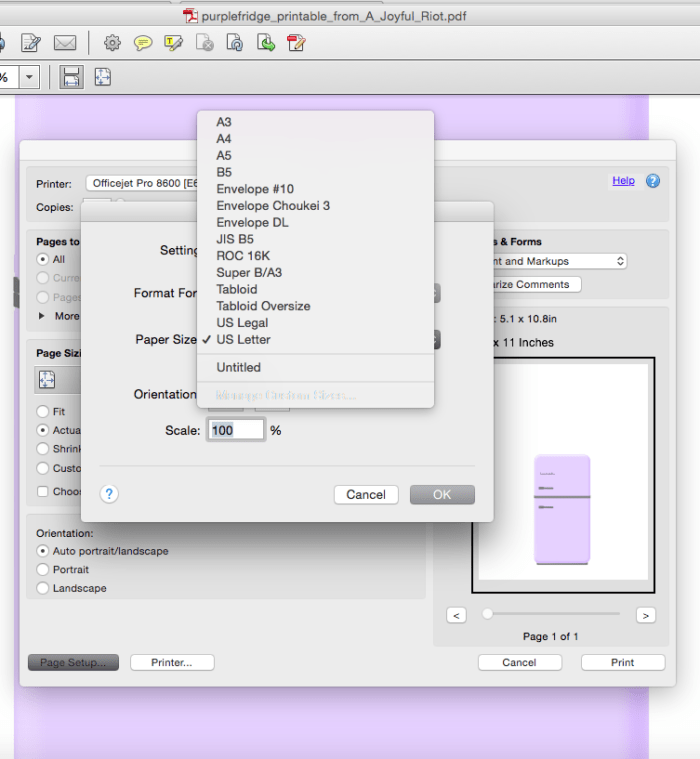 Open your chosen print in Adobe Reader. 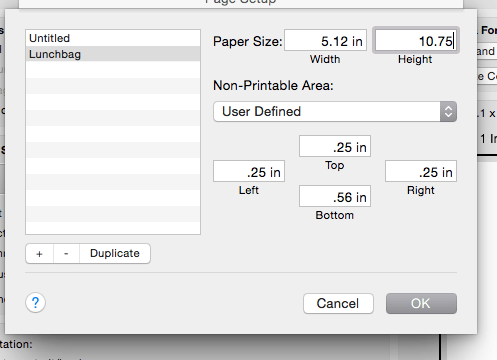 Open the print dialog box and go to “page setup”. Chose the “manage custom options” from the size drop down menu. (For some reason having it highlighted in the screenshot made it not show up. But for me, it was the last item on the menu). You could even add your child’s name to the printable before printing. 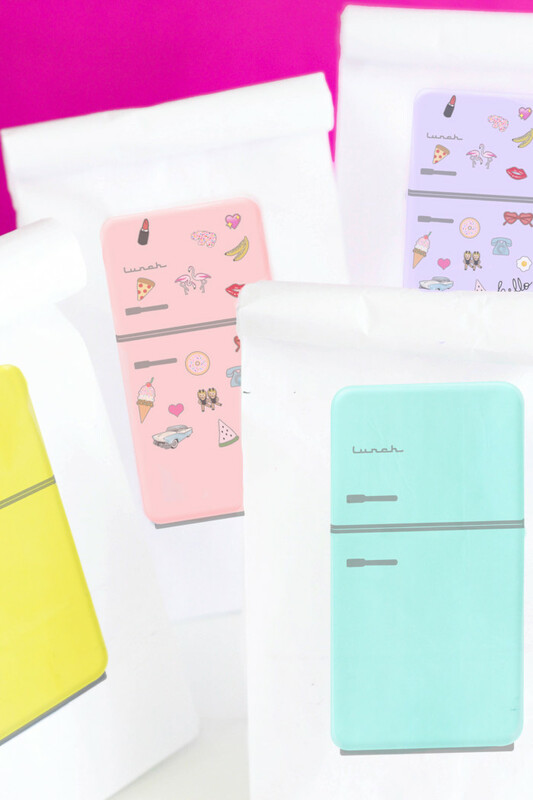 Or choose one color for each child and they’ll all know what bag to grab in the morning! And, as a fun little bonus, check out this evolution of the fridge infographic from Big Chill!